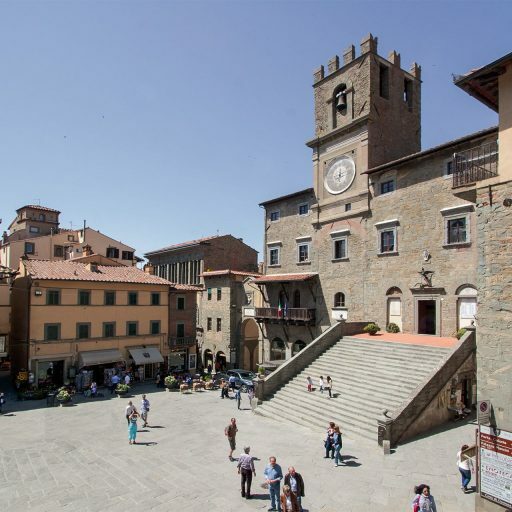 In this short tourist guide of Cortona you will find some sightseeing tours, specifically created to visit the main historical and artistic attractions of the town. 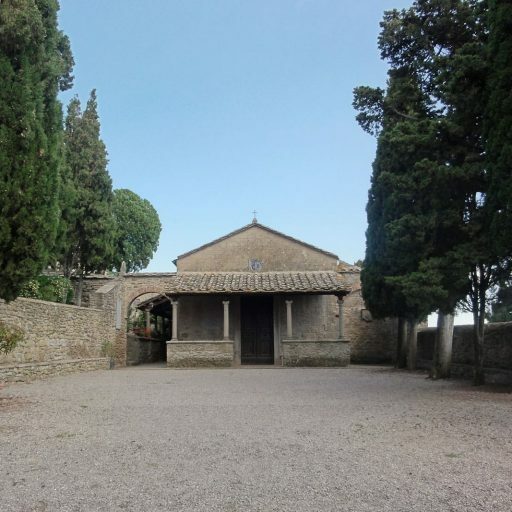 If you are thinking about spending a lovely weekend in Cortona, here you will find some tours throughout the city center, in the upper part of the hill that is called “poggio”, along the city walls and in the surroundings of the Etruscan city. This guide will lead you to discover the main monuments, churches and squares of one of the most charming cities in Tuscany. These tours are very interesting from the historical and the artistic points of view, some of which can be easily covered on foot even by children, whereas others are more difficult and need to get about by car. The tour in the historical center will make you discover all the main historical and artistic points of interest of the city, such as museums, churches and historical palaces. This itinerary can be easily covered on foot even by children. 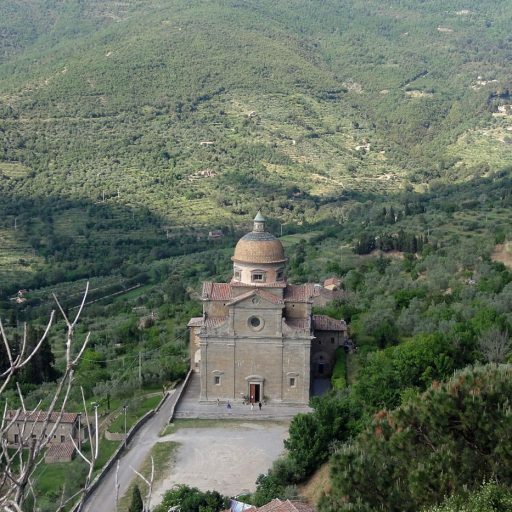 This sightseeing tour will guide you throughout the upper part of the hill that is called “poggio”. Here we find the most picturesque streets and the most evocative views. This itinerary is quite difficult since there are steep slopes to walk up. This tour will lead you to discover the main monuments built outside of the Etruscan city walls. The itinerary is about 8 km long and is suitable for well-trained people. It is however possible to reach these attractions by car. 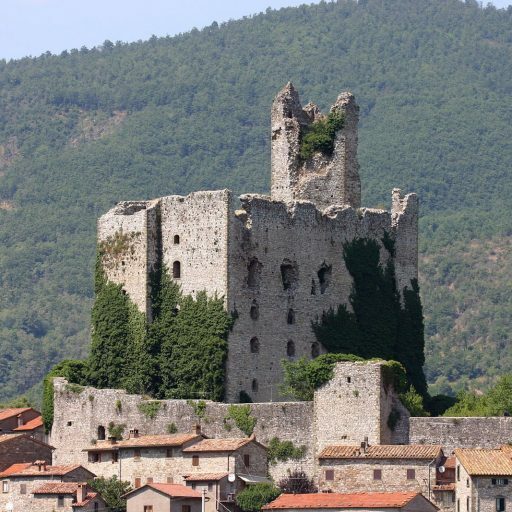 This guided tour will make you go back in time, discovering wonderful Etruscan tombs, Roman villas, Medieval castles and Benedictine abbeys. Because of the distances, you will need to get about by car.